Morphine overdose is a condition which occurs due to the excessive consumption of Morphine orally or by injection. Actually, overdose can be accidental or intentional. When people use it at the recommended with precautions, overdose is less likely to occur. However, due to the addictive nature of Morphine, individuals can overdose it in quest of a more intense high. Morphine is very potent opioid pain medication. Mostly, patients use it to relieve moderate to severe pain and alter your brain’s response to the pain sensations. They take it via oral or intravenous route. Yes, there is no doubt you may overdose on Morphine even when you do not realize it. According to the Centers for Disease Control and Prevention (CDC), the cases of prescription opioid medications overdose in the US have seen a steep rise. For this reason, the rising cases of overdose can be attributed to the increasing number of opioid prescriptions for pain management. In fact, from 1999 to 2013, the number of opioid prescription in the US increased four folds. Moreover, approximately 2 million abused or were having a dependence to the prescription opioids in 2013. Morphine ranks fourth in the list of 10 drugs involved in deaths due to drug overdose for the year 2010-2014, US. No doubt, all these numbers indicate a serious scenario. More Americans are being exposed to the unintended and often disastrous effects of opioids. Morphine Overdose: How Much is Too Much? When you take an excessive dosage and your body cannot metabolize the drug, overdose symptoms develop. Understandably, the overdose symptoms largely depend on body weight and the individual capacity to break down the drug. Another important factor is previous exposure to Morphine. For example, an individual who has developed a tolerance may be able to digest a larger amount of Morphine than a beginning user. In addition, preexisting health conditions influences greatly on overdose and consequent complications. Which includes respiratory diseases, renal function, and liver health. It is because the liver is the major organ for metabolism. At the same time, kidneys play a key role in excreting the drug out of the body. Incidentally, for the first-time users, any dose more than 200 mg can be fatal. However, those who have developed a tolerance due to long term use, a dose up to 3 grams may not be as toxic. Adverse health effects such as breathing problems and increased drowsiness can occure within a few hours after taking a large dosage. However, the route of drug administration, whether the user injected, swallowed, or snorted the drug, also determines the time for the symptoms to appear. History of mental illnesses – Various studies have suggested a strong link between mental disorders and incidence of drug abuse and overdose. Financial Problems – Morphine overdose deaths also have some connections with financial problems and unemployment. Therefore, it is quite understandable that many people find drugs as an escape from financial issues. Tolerance to Morphine – Cases of overdose can occur at doses which are required to get a good high. As you continue taking an opioid for your condition, you slowly develop a tolerance. Then, you need a higher dose to produce the same effects. As a result, what seemed like a good dose can turn fatal. 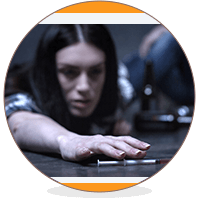 Combined use of Morphine with alcohol or other drugs – Drug abusers are more likely to combine Morphine with alcohol or benzo, which can be fatal. The combined use causes severe respiratory depression, a common cause of death among drug abusers. History of respiratory disorders like asthma – Morphine is a potent respiratory depressant. Therefore, patients with some kind of respiratory illness can succumb to the deadly effects even at lower doses. Finally, You can increase your risk of Morphine overdose even at lower doses because of these other health conditions. It includes hypotension, hypothyroidism, and impaired renal or hepatic function. Naloxone, which antagonizes the actions of opioids, is the antidote for Morphine poisoning. It is most commonly given through the veins. In some cases, they may administer it by injecting the medicine into the muscles. Furthermore, ensuring a clear airway is very important and supportive treatments are necessary to stabilize the patient. Experts are also studying newer opioid antagonists such as naltrexone and nalmefene as an alternative treatment for opioid poisoning. Overdose effects may take up to 14 days to clear. The patient should be closely monitored during this period. Presently, naloxone cannot be used as a part of follow-up care for high-risk patients on an outpatient basis. Stick to the treatment guidelines and your doctor’s instructions. Tame your craving and urges to get a Morphine high. Do not mix Morphine with alcohol or any other drug. Talk to your doctor or pharmacists to know more about the precautions with Morphine. Participate in an educational program that aims to increase awareness about drug abuse and overdose, whenever possible. If you have any questions or queries about Morphine overdose, you should talk to the experts to get accurate information. For more on addiction, available treatments, and other suggestions, click here.It will connect with the best addiction centers near you.